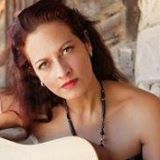 Winner of multiple folk music awards, “Mobetta Loretta” Chacon is great-niece of Juan Chacon, the leader of the famous mine strike who later played himself in “Salt of the Earth,” the only blacklisted movie in America. This Thursday, Loretta’s coming out from southern California with her entire band to take part in this weekend’s 60th Anniversary Celebration of the movie that put our area firmly in proud union history, and she’ll be our guest in the second hour of Silver City Acoustic, 7-8 pm. Loretta and her band will play live in the studio and talk about her album, Salt of the Earth, whose songs pay tribute to the men and women who sacrificed to bring equality of pay and living conditions to Mexican workers. In the first hour, musician-friends traveling with her, “Sal and Isela,” will join us. Tune in and tune up! to KURU 89.1 FM, 6:15 or so (after the community calendar and Workers Independent News) til 8 pm. This entry was posted in Silver City Acoustic. Bookmark the permalink.